Augustus Cole, aka the Cole Train (baby, WOO! ), is one of Gears of War’s most memorable personalities. But a lawsuit launched against the game’s developer and publisher by former Philadelphia Eagles football player Lenwood Hamilton claims the character uses his likeness without permission. The lawsuit, first reported by TMZ and since confirmed by GI.biz, names Epic Games, Microsoft, and Cole voice actor Lester Speight. It alleges that Hamilton spoke to Speight during their time together at Soul City Wrestling about creating a video game character similar to the former NFL player. The lawsuit says a “forensic voice examiner” hired by Hamilton found that his voice and Cole Train’s matched “to a reasonable degree of scientific certainty.” Hamilton also claims the GoW character’s wrist bands, derby hat, and gold front tooth are based on him. 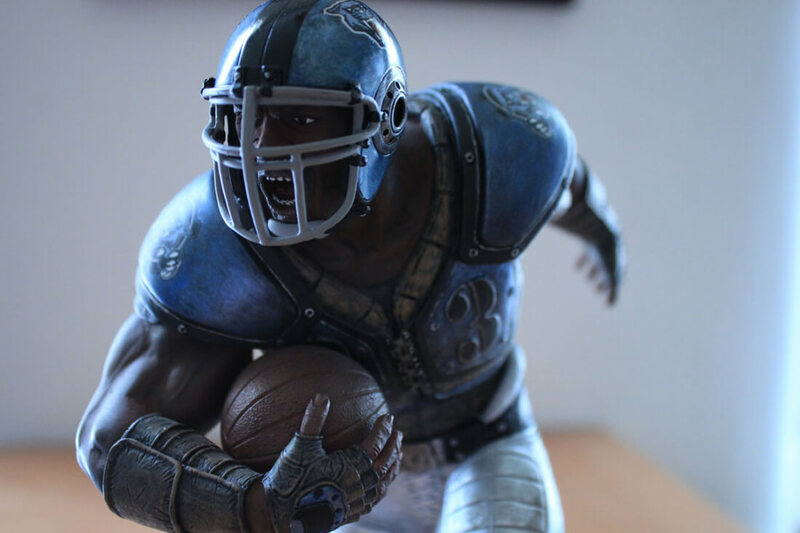 "The similarities of the avatar 'Cole Train' and Hard Rock Hamilton [Hamilton's wrestler name] include that both are black (and 'Cole Train' is the only black avatar in the Gears of War series), they both played professional football (although in Gears of War the game is called 'thrashball'), Cole Train's number is 83 (same year that Hamilton played for the Philidelphia Eagles - 1983), the derby hat, wristbands, a front gold tooth, and a striking resemblance of both physiognomy and body build," reads the lawsuit. While no specific figure has been given, Hamilton is suing “for sales and profits.” That could amount to a pretty hefty sum, given that the games have made over $1 billion in the near eleven years since the franchise’s first entry. This sort of thing isn’t without precedent. Actress Lindsay Lohan sued Rockstar parent company Take-Two interactive over claims that GTA V character Lacey Jonas used her likeness without permission. A New York state appeals court dismissed the case last September.